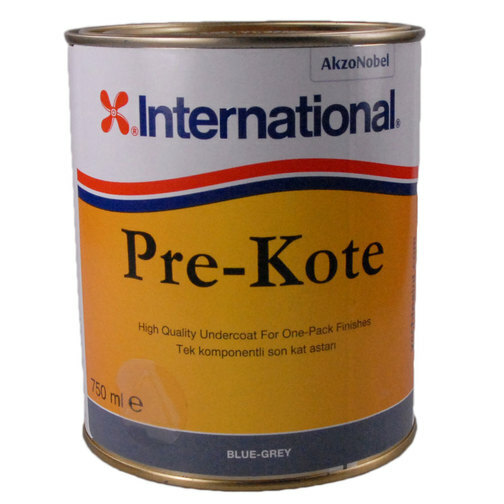 A primer undercoat for gloss enamel paints that enable a clean working surface for excellent topcoat finishes to be applied to. 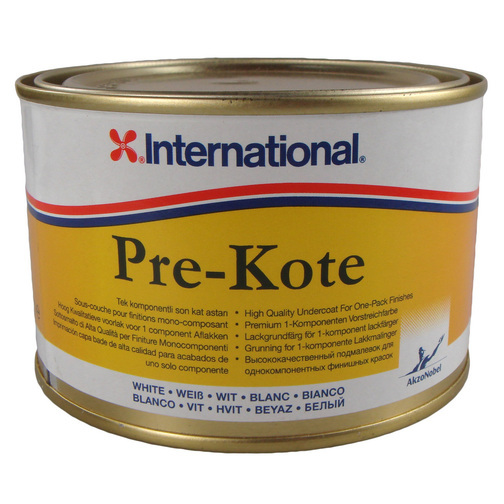 International Pre-Kote Primer undercoat helps to provide a more resistant contact for enamel paint to prepared surfaces. 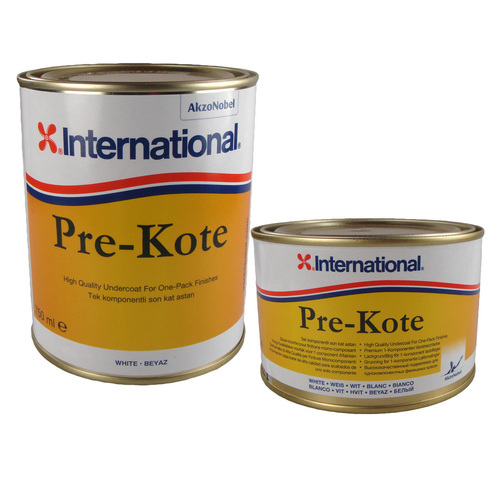 The tough flexible resins are long lasting, easy to apply and rub down, giving a smooth base for the finishing coat. Excellent obliteration allows for easy colour changing. 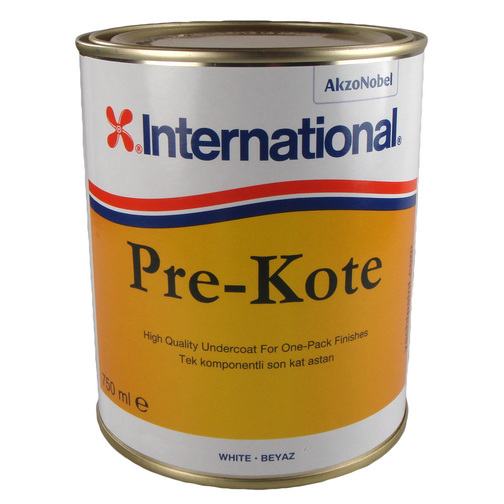 International Pre-Kote is suitable for all primed wood, steel, alloy or GRP and is ideal for use with International Toplac or Interlux Super yacht enamels.